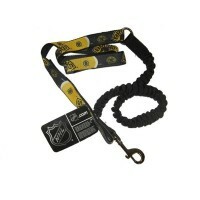 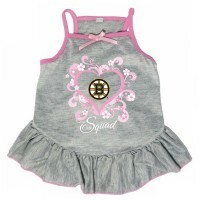 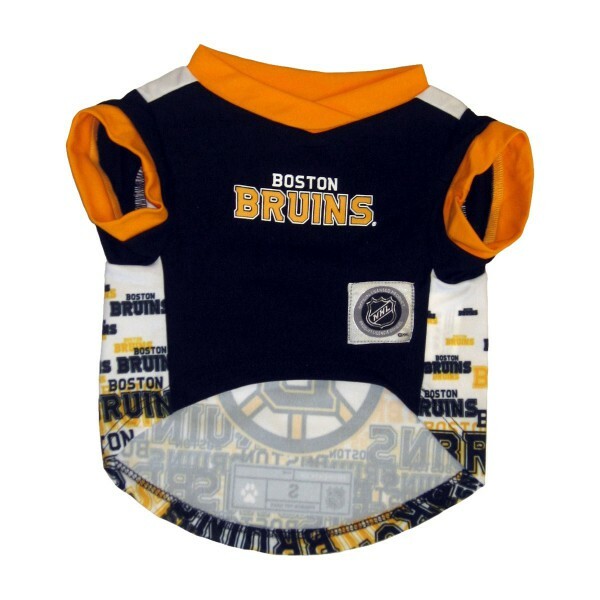 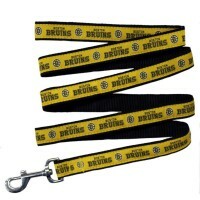 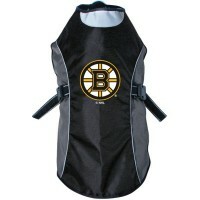 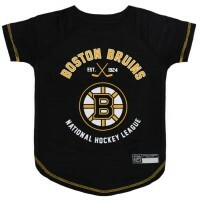 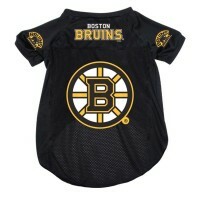 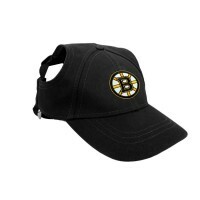 Your pet will be ready to tailgate with this Boston Bruins Performance Pet T-Shirt. 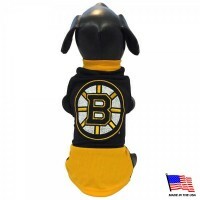 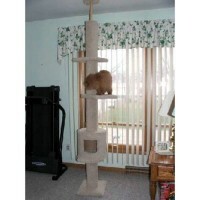 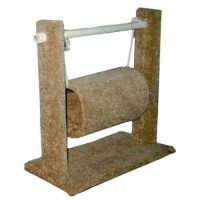 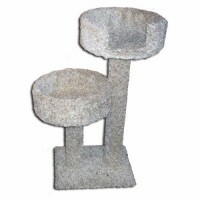 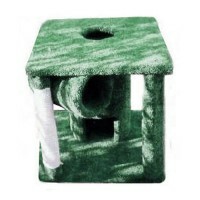 The comfortable moisture-wicking polyester stretch fabric makes this pet t-shirt easy to get on and off your pet. 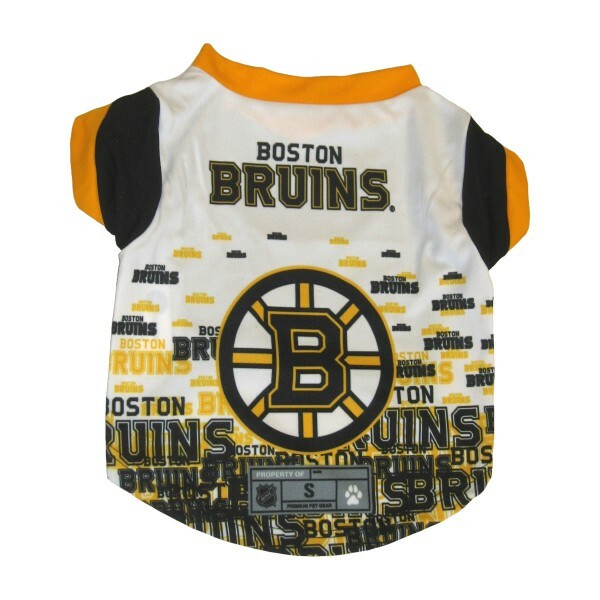 The back of the t-shirt is covered with full-colored team graphics and the team name. 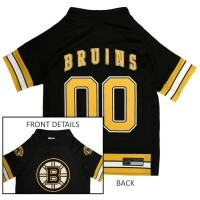 The front has the team name.